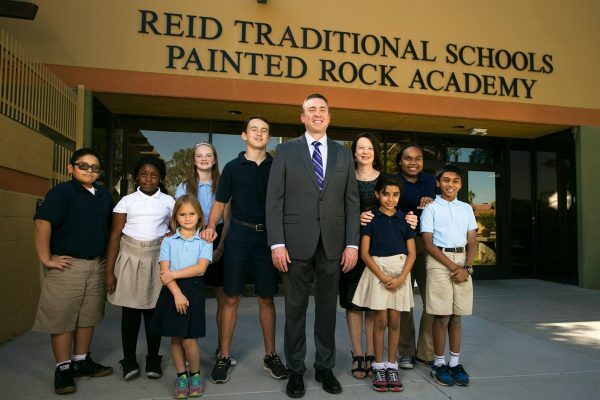 [threecol_one]The Arizona Charter Schools Association has named Painted Rock Academy the 2017 Charter School of the Year, stating the school has “established itself as a model of consistency” in its academics, continuing to earn “A” ratings every year the labels have been given. The Association stated “a stable, committed group of teachers and strong parental involvement are the hallmarks of Painted Rock’s success.” [/threecol_one] [threecol_two_last] [/threecol_two_last]Read the full press release here. Congratulations to Principal Joshua Bauer and Assistant Principal Robin Harper, along with the PRA faculty, staff, students, and parents whose teamwork and dedication earned the school this well-deserved honor.